LE Croatia is currently no longer taking applications for Summer 2019. Thank you for your interest! 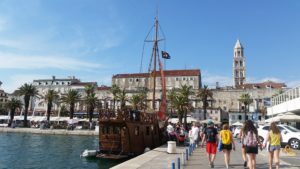 The program will kick off with a four-day orientation in Split, the largest city on the Croatian coast of Dalmatia. Volunteers will be introduced to the vibrancy of Eastern European culture and discuss teaching strategies with the Program Director and other volunteers. The orientation schedule will allow volunteers ample time to explore Split and surrounding areas such as the Krka waterfalls in between teaching break-out sessions. Some highlights of orientation in Split include exploring ancient ruins, swimming in the Adriatic, and hiking to the top of Marjan, which gives a spectacular view of the entire peninsula! After orientation, you will travel to your first teaching location and teach for three weeks. 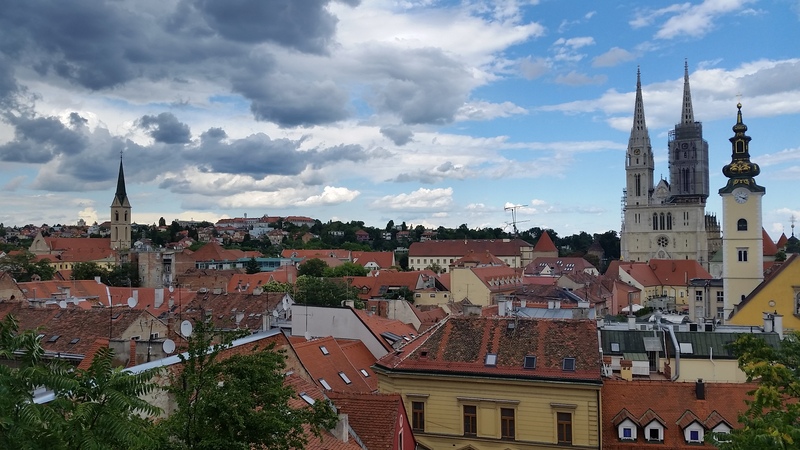 You will reconvene with your fellow volunteers after your first placement for a quick weekend trip in Zagreb, Croatia’s beautiful capital. During this midpoint break, you will swap stories and teaching ideas with the other volunteers, indulge in some R and R, and lament how much food you’ve eaten. Midpoint break is a memorable experience to reconnect with fellow volunteers and reflect on the experience. After midpoint break, you will travel to your second placement and teach for another three weeks. In PY 2018, volunteers swapped regions for Placement Two and were able to explore both landscapes and cultures. 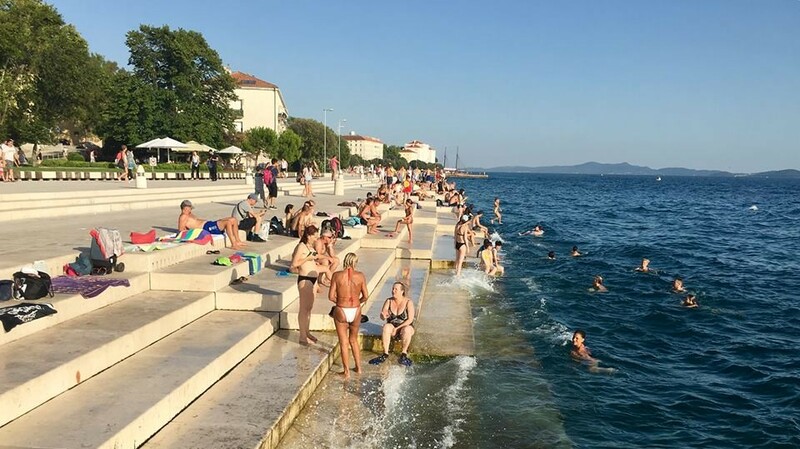 The program will then conclude with two days in Zadar for closing session. This is an opportunity to reconnect with the other volunteers, some of whom you may travel with after the program and many of whom will become lifelong friends. You’ll see a little bit more of the wonderful land that is Eastern Europe and reflect on the LE experience as a whole. Cooperative. Volunteers express appreciation to hosts and are amiable, which applies to any placement whether the volunteer has a co-teacher or not. Open-minded. Volunteers understand and recognize cultural differences and similarities, and create positive learning atmospheres for learning and cultural exchange to take place. Kind and passionate. Volunteers thoughtfully acknowledge students’ difficulties and perspectives. Responsible. Volunteers also maintain clear communication with the PD, potential co-volunteer, and host families. The program starts from the moment of acceptance. Confident. Leading a classroom and living in a new country have their challenges--believe in yourself! Inland - Sunny Village Camp: Set in beautiful, rural Croatia, Sunny Village is a sleepaway camp in Jagnjedovec that brings together children aged 9 to 13 from Croatia and surrounding countries for an English language experience. As a counselor, you will help run typical camp activities that focus on developing participants’ English language skills, such as small morning module groups, and participate in activities such as afternoon sports games or nighttime songs. You will work alongside Helena Hecimovic, the camp director, as well as other college-age counselors from Croatia. The camp has comfortable lodging and showers, and all meals are provided under an outdoor eating area. Volunteers here also rotate teaching at Koprivnica’s Hello English Language Club in the mornings (10-minute car ride away) and working as counselors throughout the rest of the day. Be prepared for long days; you may be working from 8 AM to 10 PM! 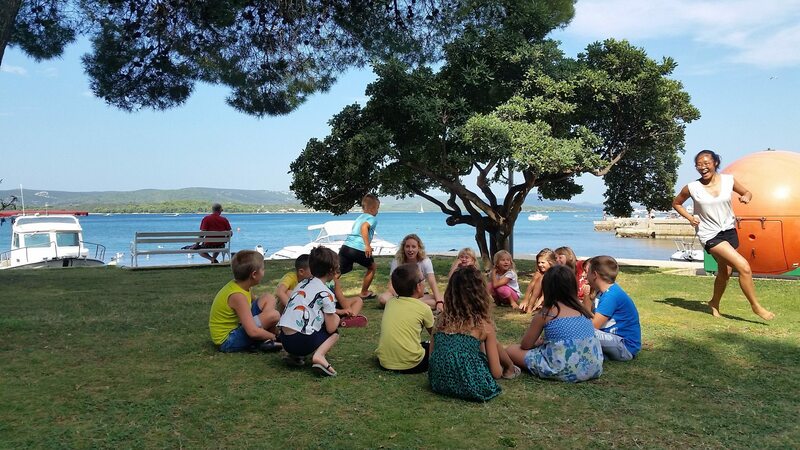 Past camp volunteers have enjoyed working with the enthusiastic children and have appreciated the opportunity the camp provides in connecting with Croatians their own age. ​Inland - Village Stays: Volunteers in inland villages will live with host families. Koprivnica’s volunteers will teach children ages 7-13 separated by age group at the Hello English Language Club in the mornings. Another village placement involves teaching three different groups: kindergartners, middle schoolers, and mixed ages, at locations such as libraries or schools. Volunteers may be placed individually or with a co-volunteer. Most hosts will have an array of moderate amenities in their homes, and typically provide internet. Although inland village stays vary in style and amount of free time, these experiences share Eastern European warmth. It is the best way to experience authentic Eastern Europe culture on a deeper level than any tourist. All village stays will abound in liveliness and, of course, food. Expect weather to be cooler than coastal villages with occasional rain. Host families are not paid to participate in the program and graciously open their homes and their hearts to Learning Enterprises volunteers. You will find it difficult to say goodbye after three weeks. ​Coastal - Village Stays: Volunteers in coastal placements will live either in a hotel or an apartment, typically with a co-volunteer. Although volunteers are not living with host families, coastal hosts are easily accessible via phone apps. On the weekends, hosts bring volunteers to surrounding areas, such as island day trips. A typical weekday includes teaching children in divided age groups for 4-5 hours, either at the city hall or the theater, followed by an afternoon of lesson planning and relaxing time. Biograd and Filip i Jakov are small, so you may run into your students when walking around outside of class! Meals are provided for by a delicious local restaurant of walking distance. The two coastal villages are also a 10-minute bus ride away from each other, allowing for volunteers to meet if desired. Activities include swimming at the beach, paddleboarding, biking, and eating ice cream from the village’s many shops. Volunteers always cite their experiences in the classroom as the most rewarding component of the program. Volunteers in village stays will be expected to teach for about four-five hours a day, five days a week. Most students are divided by age group, thus volunteers teach multiple classes per day. Number of students varies by season and age group. Your teaching locations will be local, and may include schools, a language club, a city hall, and a theater. The majority of placements will have basic teaching materials such as whiteboards, markers, and pencils, and some may even have construction paper and a projector. While Learning Enterprises will provide you with teaching ideas, you will have complete freedom in determining how to run your classes. LE encourages volunteers to teach creatively. If you love to sing, teach your kids the words to your favorite Billy Joel song then have the class write and perform an original rap. If you love to act, hold a drama festival on the last day and invite the entire village. It’s your classroom, your world! The students you will be teaching relish the opportunity to study with a native English speaker. The older students recognize the value in learning an important international language and eagerly ask about English colloquialisms and American culture. For the younger students, simply interacting with a native English speaker helps transform the language from work sheets and verb conjugations into something more real. There is nothing more rewarding than watching your students grow and learn. Even if your students aren’t exactly fluent by the end of the summer you may have ignited their interest in English and language, and have helped them to dream big about their futures. Croatian inventions include the necktie, parachute, pay-by-phone parking, and more. 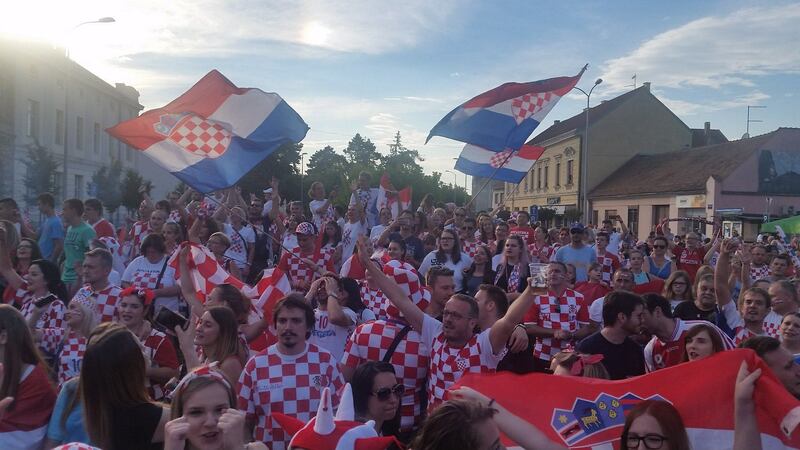 Football is one of Croatia’s most popular sports--last year, the national team made it to the Finals against France, earning Silver! Mamma Mia 2: Here We Go Again was filmed on Vis, a small island in Croatia. Star Wars: The Last Jedi and a couple Game of Thrones scenes were also filmed in-country. Croatia has over 1000 islands (one of which is even heart-shaped! ), national parks, and waterfalls for all nature-lovers. MEET YOUR PROGRAM DIRECTOR, SUSIE! 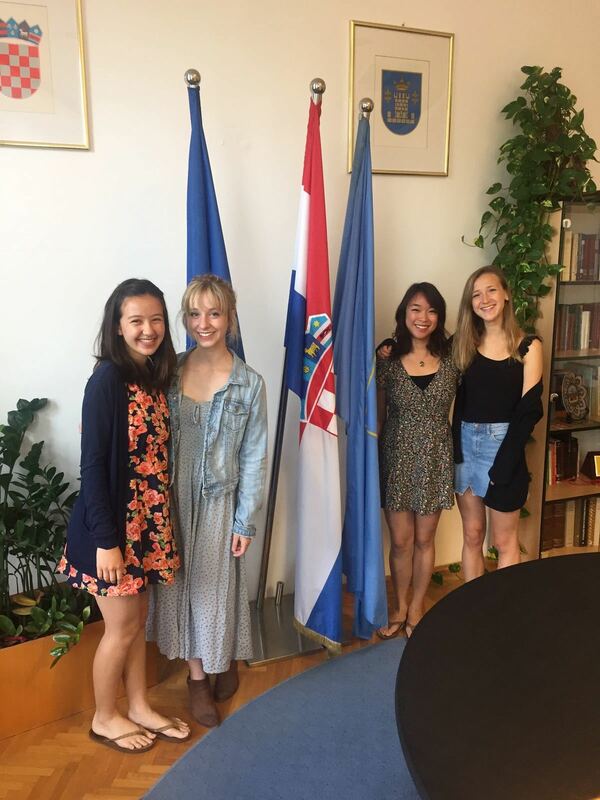 Susie was a volunteer for Croatia PY 2018 and feels honored to be returning as Croatia's Program Director. She is a California resident and current sophomore at UC Berkeley, considering majors in Ecosystems Management and pre-Business Administration. She also likes dancing, playing sports, and living life through an artistic perspective. She applied for LE because the program values volunteerism, cultural exchange, and teaching. 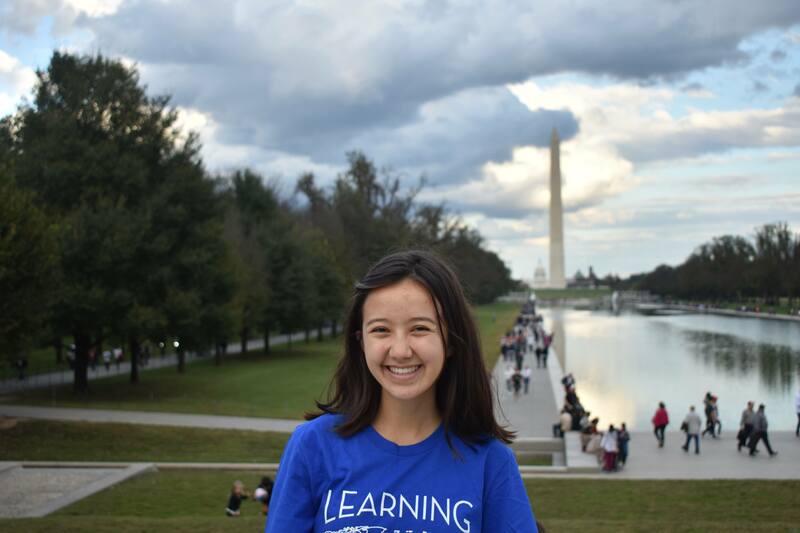 LE has opened her eyes to the beauty of education, and she is excited to share new experiences with volunteers, host families, and students in the upcoming year! Interested applicants can contact Susie at croatia@learningenterprises.org. Check out our Addendum and Budget! We aren't the only ones talking about LE Croatia!